Assuring building owners and occupants of compliance and performance of indoor workplace environments, QED Environmental Services combines the impressive technical knowledge of its people with forward-thinking and practical solutions. 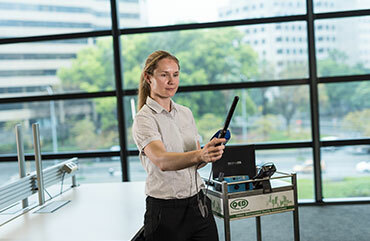 QED is the first and only organisation in Australia to hold NATA accreditation for Indoor Air Quality inspections and NABERS Indoor Environment Base Building ratings. 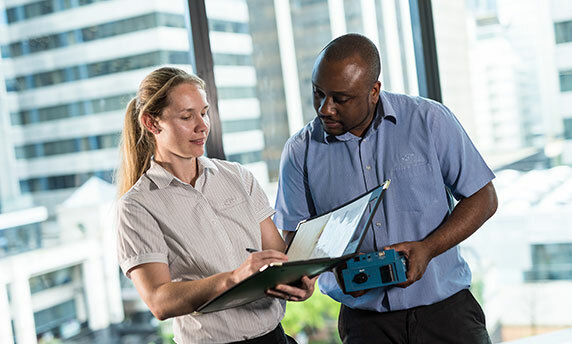 For 25 years QED has continuously proven why it is the trusted assessor for the built environment in Australia, covering the office, retail, industrial, education, hotel and healthcare sectors. With a philosophy of linking theory to practice, QED provides advice and solutions that ensure comfortable, safe, healthy and productive microenvironments throughout the life cycle of buildings. QED provide a variety of services within the built environment to ensure that occupants enjoy a micro environment that is not only comfortable but, more importantly, safe, healthy and productive. As the only NATA accredited indoor air quality inspectors, we manage over 400 buildings throughout the country, with millions of square metres audited each year across the office, retail and healthcare sectors. We provide regular audits locally, internationally and offshore within commercial, industrial, healthcare, shipping and mining sectors. We are accredited to perform NATA certified monitoring and clearance reporting for all types of asbestos removal. Stock inventory of all hazardous substances and dangerous goods is a legal requirement in Australia. QED prepares a report that highlights risk issues, as well as providing clients access to their own online register of chemicals on-site ensuring complete compliance. Meeting all monitoring requirements for water quality, we carry out a range of investigations and provide advice and management plans for potable water distribution. Our comprehensive range of Legionella risk management services includes cooling tower risk reports and management plans for potable/warm water distribution and delivery systems. QED is qualified to assess indoor environment using all the prominent rating schemes: NABERS Indoor Environment, Green Star Performance and Well Building Standard(tm). We can advise on the pros and cons of each scheme for your building. A lot can change in the world of built environment. It is not always easy to stay on top of everything going on in the industry. Follow us on Linkedin and we will keep you posted on the most relevant news and changes that you need to be aware of.